Time has moved by quickly in recent months since the Manny Pacquiao vs Adrien Broner fight was first mooted then formally announced. 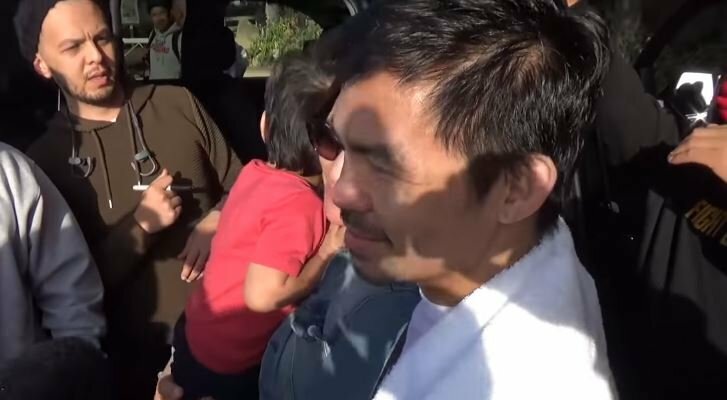 While Pacquiao has remained a healthy favorite with bookmakers ahead of the bout, the closer it gets to January 19th and the more footage that emerges of four-weight world champ Broner appearing at least to be taking things seriously — the more people are starting to think it could be a very good fight to watch. Also, Broner typically does well with southpaws and styles make fights so if Pacquiao was to even take his eye off the ball slightly it is not unreasonable to assume he could come unstuck. All smiles and laughs as usual but expect that Mr. nice guy to transform into a Filipino typhoon come fight night like he always does. Still a man with enough hand speed, skill and knowledge to give any of the top welterweights a hell of a fight. Pacquiao earned his first stoppage win in nine years last time out against Lucas Matthysse so don’t count anything out come January 19th. Particularly with more big fights at stake if he were to beat Broner, too.